This child needs his chicken cut. Hey, did you know there is a scientific journal called Eating Behaviors? No? Well, there is and does it have a study for you. According to researchers from Cornell University’s Food and Brand Lab, you are more likely to get your children to behave if you cut up their food for them. Researchers learned this by looking at 12 elementary school-aged children over the course of two days. We are not scientists, but we’re pretty sure there is something called “sample size” that these guys seem to be short on. But who are we to question a study from a place like Cornell? 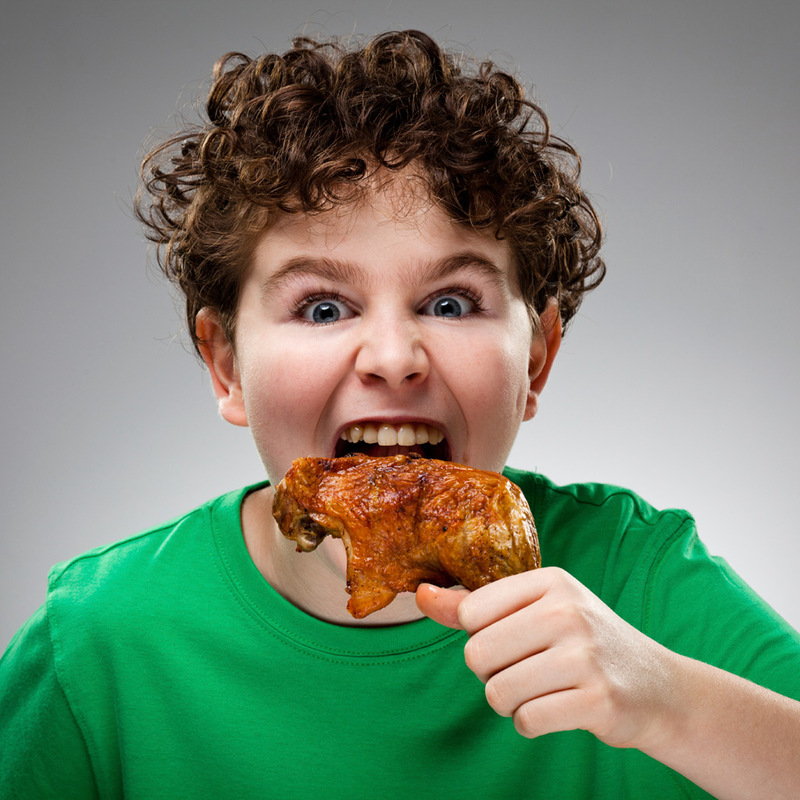 The way the experiment worked was this: On the first day, half of the children were given chicken on the bone to be bitten into with their front teeth and the other half were given cut up meat that would be easier to chew. The second day, the circumstances were reversed. In both cases, the kids who had to bite into their food (how shameful!) acted twice as aggressively and were twice as likely to disobey adults, according to the professional coders who watched them on video. The study didn’t make any guesses as to why the kids actually behaved that way, but maybe you aren’t what you eat, you are how you eat. Eat like a monster, act like a monster. All that cutting seems like too much work. When we have kids someday we will feed them exclusively soups.